The Lands of Disneyland: New Orleans Square! Hello everyone, and thank you for taking time out of your day to visit us here at My Dreams of Disney! As you may know, we have been exploring the different lands of Disneyland, much like we did with our “Lands of the Magic Kingdom” series that we did a few years back, and today, we are taking a look at New Orleans Square. Our last exploration was of Adventureland, and before that, Main Street, U.S.A., so as you can tell, we are working our way around Disneyland in a somewhat clockwise order. The Haunted Mansion, pictured above, is themed entirely after New Orleans in the 19th Century, which is the time period that New Orleans Square is set in. The ride mechanics are the same — although, there is a difference in the way the stretching room operates at Disneyland versus Walt Disney World — and I liked the way that The Haunted Mansion entered the house. As I wrote in my Top five attractions at Disneyland post, Haunted Mansion isn’t higher than number three only because we had a few issues with the ride starting and stopping. Otherwise, it would have been at number two on my list! Pirates of the Caribbean is my favorite ride at Disneyland, bar none! 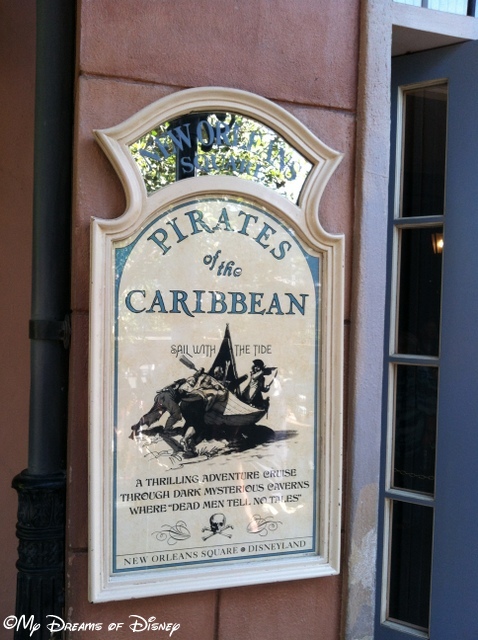 Also located in New Orleans Square is the famed Pirates of the Caribbean ride. This incredible dark ride was such a treat for me to ride, it instantly jumped right on up near the top of my all time favorites list for Disney! 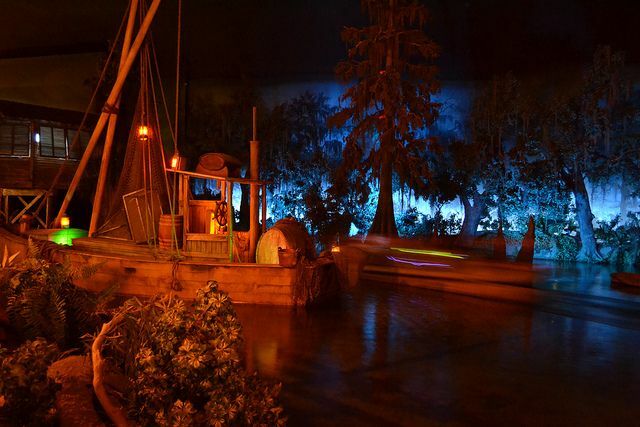 With two — count them, two — incredible drops, a leisurely stroll through the Bayou of Louisiana reminiscent of The Princess and the Frog, and the Blue Bayou restaurant off to the right as you start your journey, this attraction truly did live up to it’s advanced billing. My dear friend Brenda told me that I was going to absolutely LOVE Pirates of the Caribbean at Disneyland — and boy, was she right! The Disneyland Railroad has a stop at New Orleans Square, and services Frontierland also from this stop. 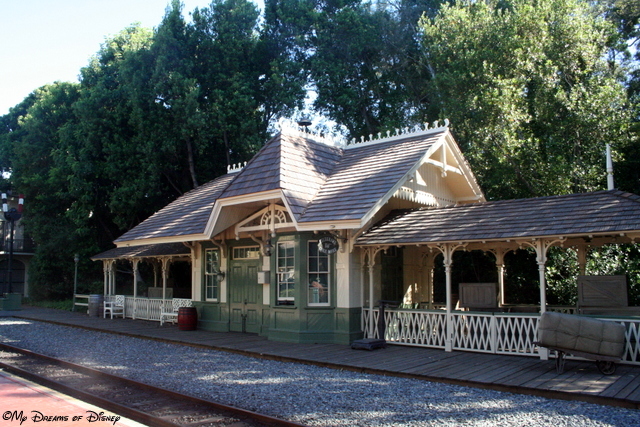 The Depot plays the first two lines of Walt Disney’s opening day speech in Morse Code at this station. Without a doubt, one of my favorite dining experiences at Disneyland was eating at the Blue Bayou restaurant. We were seated near the water, and we had a wonderful view of the boats leaving port on their way to the Pirates of the Caribbean ride. It was a lot of fun to eat there, the food was incredible, and it truly did feel as if we were immersed right into the middle of the Princess and the Frog. I know I’ve said that before, but it really was a great dining experience, and I hope to be able to enjoy it again in the future. 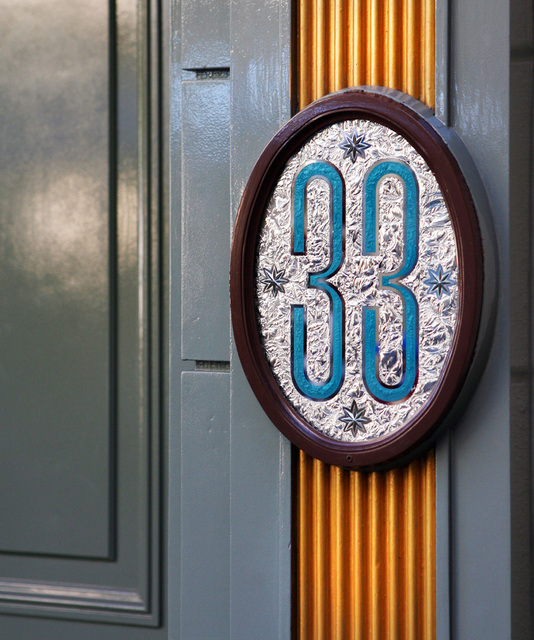 Club 33 is the most exclusive restaurant in Disney — and it’s located in New Orleans Square! Club 33 is the only establishment at Disneyland that serves alcoholic beverages, and was built under the supervision of Walt Disney as a way to attract more sponsors to Disneyland in the mid 1960s. Sadly, the restaurant opened in 1967, about 6 months after Walt Disney passed away, so he never ate there or experienced it for himself that I know of. In all my roaming around New Orleans Square, can you believe that I NEVER saw the door and the sign? I guess I was all caught up in everything else that Disneyland had to offer and had put blinders on or something! The Disneyland Dream Suite is the only accommodation you can get inside of Disneyland Park! 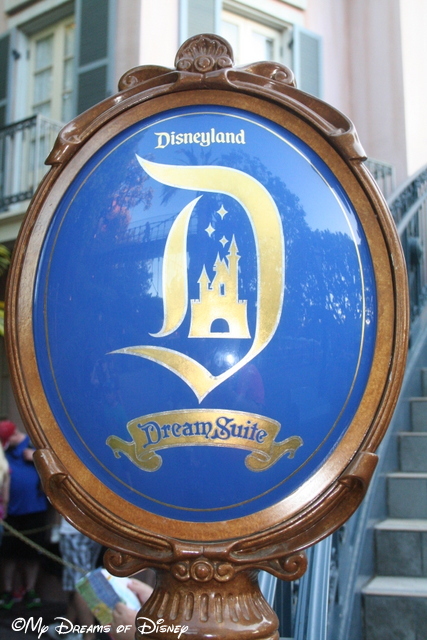 The only overnight accommodations that you can get inside of Disneyland Park belong to the Disneyland Dream Suite. This exclusive sleeping arrangement is located in New Orleans Square, and is near the Pirates of the Caribbean entrance. I have not been inside the Disneyland Dream Suite, but I understand that it was originally built to be an apartment for Walt Disney during the construction of New Orleans Square. When Walt passed away, the project was put aside and used as the Disney Gallery, but in 2008, it was renovated and remade into the Dream Suite that exists today. Typically, the chance to sleep here is awarded as a contest promotion. I would love to spend the night there! In addition to all that we have examined here, New Orleans Square is also home to some great shops, quick dining locations, and more! I really enjoyed New Orleans Square, and if you can get there, I think you will too! Coming Soon – The Lands of Disneyland! 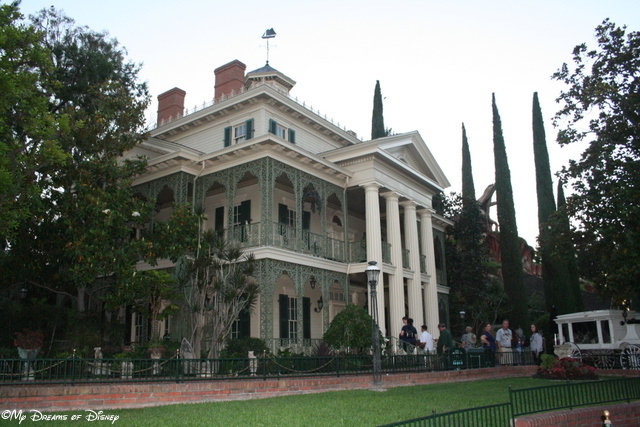 3 Days til Disneyland – Haunted Mansion! Previous Post: Happy Birthday Walt Disney! Next Post: Is the Disney Dining Plan worth it?